ESCS knows Lightning, Arrestors, EMC, Filters and more! ESCS is headquartered in "The Lightning Capital of the World" Clearwater Florida, established in 2005. 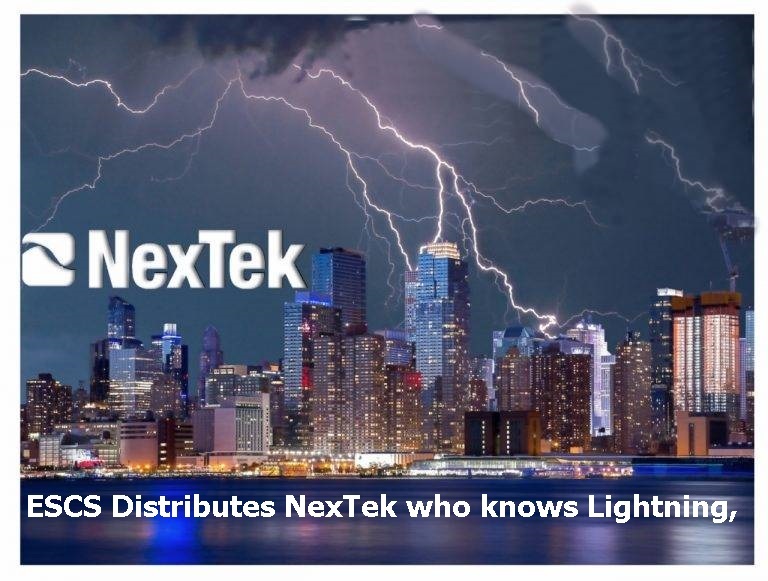 ESCS has been franchised for both NexTek Lightning Protection Arrestors & High Current Feed Through Filters for over 10 years. Need custom a design? ESCS will confer with NexTek’s engineers to provide the right solution for you. Need a data sheet? Want samples? Free advice? or the need to feel more grounded? ESCSCLICKnGo by Wireless Standard* (An ESCS exclusive) drills down your choices. When considering Lightning Protection, you may wish to identify your Electrical Requirements. EMP/HEMP/ESD Compliance (61000-4-2), Residual surge throughput (volts or energy), Residual surge throughput (volts or energy) and Max Surge (8x20 usec) current - multiple strikes). What MECHANICAL SPECIFICATIONS ARE IMPORTANT? 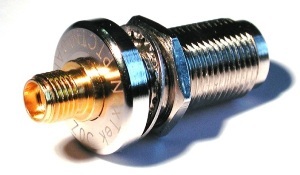 Enclosure – Mechanical constraints, Grounding Termination (lug, screw, M8, bulkhead), Hardware/Grounding kit (wire, lug, bracket), Mounting (reverse bulkhead, flange), Plating, coating, markings, Size/weight/form or Replaceable Gas Tube. ESCS knows what KIND OF ENVIRONMENT you plan to use them in is very important. Thinks to consider would be: Driving Rain, Salt Fog, Wind Temperature Range (min and max for both operating and storage, Vibration/Shock, and if Weatherization, IP68, dust or humidity is a factor. While you may not have all the answers it is great to have a company like ESCS that provides solutions. REMEMBER FACTORIES BUILD MANY PRODUCTS, BUT . . . ESCS ONLY DISTRIBUTES THE ONES YOU NEED! Factory dropships can be arranged to shorten your delivery time! Use ESCSCLICKnGo by Wireless Standard narrows down your choices. A factory's job is to build many different products! ESCS only sells you the one you need. each cellular channel into three-time slots. digital radios based on a IEEE 802 standard for personal area networks. 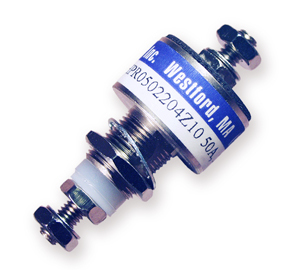 NexTek Feedthrough filters provide the unique ability to remove high-frequency noise from very high current lines. for extremely high current levels up to 400 amperes and voltages up to 500 Vdc. insertion loss to above 1 GHz. each cellular channel into three time slots.